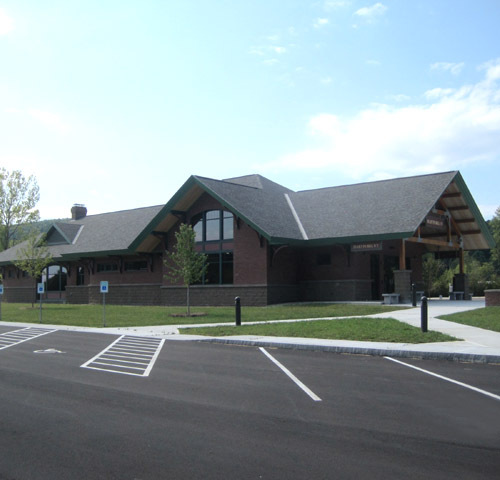 The Hartford Travel and Information Center is a 4500 square foot rest area and information center located in Hartford, Vermont on Interstate 91 south. 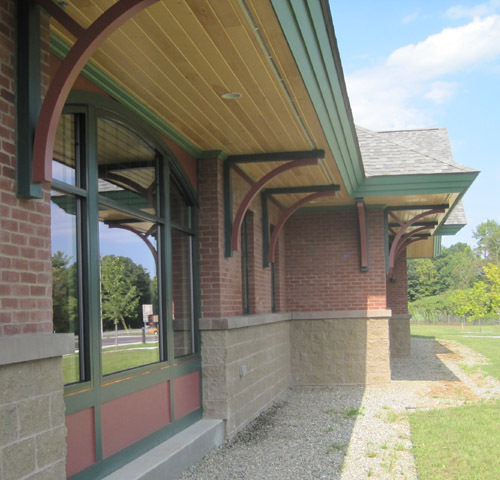 This project was designed to recall the railroad heritage of the surrounding region and the historic train stations throughout southern Vermont. Built for a lifespan of more than fifty years, the exterior features heavy timber wood trusses with metal plate connections, steep hip roofs, brick, and split face CMU to replicate a rusticated base. 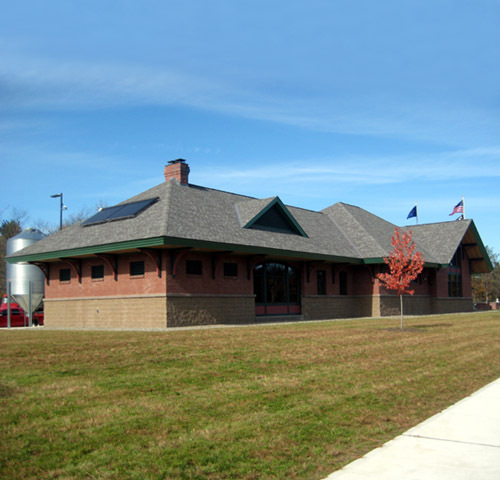 The building was designed to be very energy efficient and includes a wood pellet heating system and solar hot water system. The entire building envelope is sealed with a minimum of 3" spray foam insulation and an additional 16" of blown in cellulose insulation for R-20 walls and R-60 attics. The interior has heavy timber trusses, masonry partitions, and ceramic tile on all washable surfaces. 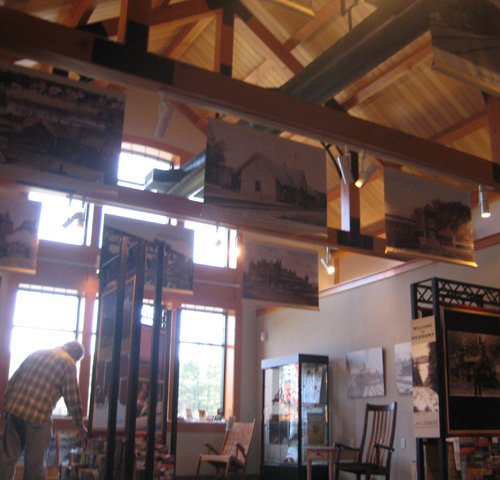 A large display room houses informational displays about the region.